You can buy Teosyal PureSense Deep Lines, an injectable filler that is conveniently available from us. You can easily place orders online, by phone, fax, or email. We only offer authentic products. Simply sign up for an account and you can begin ordering. If you were referred by a colleague, call one of our friendly customer service representatives for more information about our referral program. Each packaging of Teosyal PureSense Deep Lines comes with 2 prefilled syringes containing 1 ml of the product, 4-27G½” sterile needles, traceability labels for patient and doctor, and the product insert. This filler provides volume for the skin and can help fixes lines and wrinkles, such as nasolabial folds, in the facial area. It can also help contour the cheeks and jawline and enhance the lips via the addition of volume. 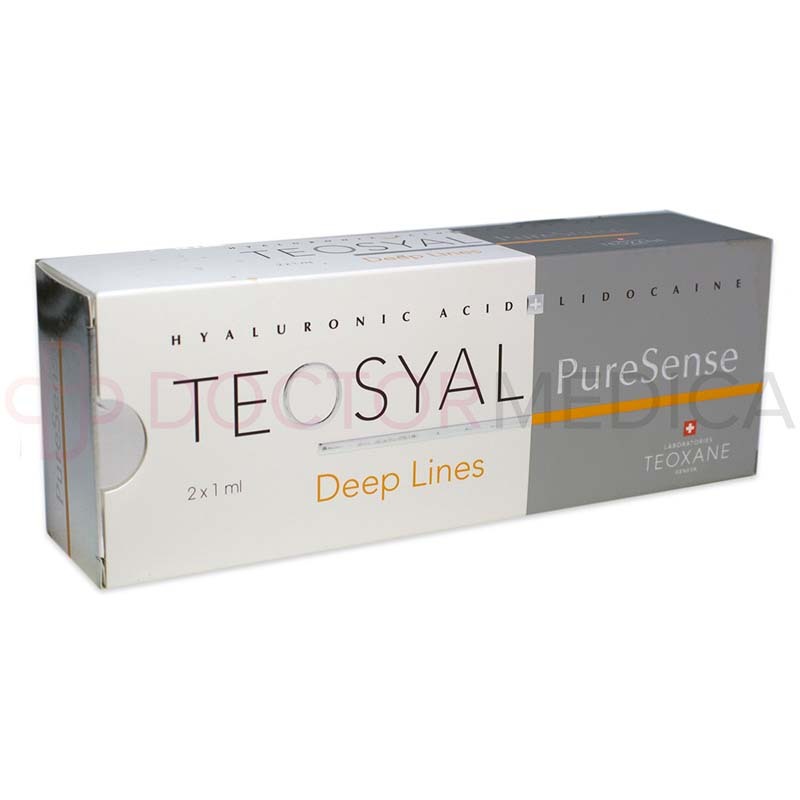 What is the difference between Teosyal PureSense Deep Lines and Teosyal Deep Lines? The difference between Teosyal Deep Lines and Teosyal PureSense Deep Lines is that the latter has Lidocaine, while the former does not. This addition of Lidocaine, an anesthetic, in Teosyal PureSense Deep Lines reduces the discomfort of patients during the injection procedure. 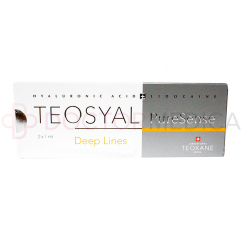 Sodium hyaluronate (also known as hyaluronic acid) is the active ingredient of Teosyal PureSense Deep Lines. Additional ingredients include Lidocaine hydrochloride and phosphate buffer solution pH 7.3. Teosyal PureSense Deep Lines beneficial effects can be attributed to its hyaluronic acid, which attracts and retains moisture within the skin. This, in turn, creates volume in the skin that can fill in wrinkles and lines. The volumizing capabilities of hyaluronic acid also make Teosyal PureSense Deep Lines optimal for contouring the jawline and cheeks. Additionally, the Lidocaine in this substance helps reduce patient pain and discomfort during the injection procedure. Evaluate the full medical history of your patient prior to injection. With the patient, assess the right amount of product needed to achieve the desired result. Just like any medical procedure, follow aseptic techniques and standards before administering the medication. 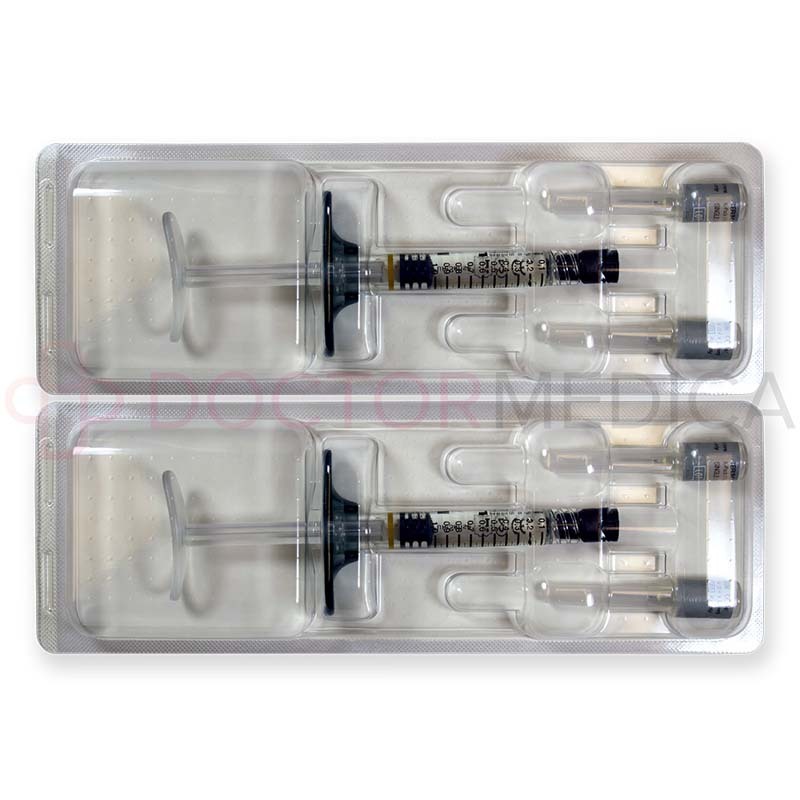 Using the supplied needles in the packaging, inject Teosyal PureSense Deep Lines slowly into the deep dermis using linear-threading technique. After injection, you can massage the treated area to ensure the even distribution of the substance within the skin. Also, advise your patient to not to wear makeup for 24 hours and to avoid strenuous physical activities for up to 2 days. A Teosyal PureSense Deep Lines injection is a simple in-office procedure that can be done fairly quickly. In fact, most patients can return to their regular activities within the same day. For patients, there is no downtime. This hyaluronic acid filler is indicated for the treatment of severe wrinkles and lines, including nasolabial folds; the addition of volume to the lips, and the contouring of the cheeks and jawline. Generally speaking, the effects of Teosyal PureSense Deep Lines can last, on average, for six to nine months. However, the effects of this filler have lasted for 18 months in particular cases. However, the duration of the benefits can vary on a case-by-case basis because the effects are dependent on a patient’s age, skin type, injection technique used, and the amount of product injected. With the number of hyaluronic acid fillers available in the market today, it can be overwhelming to choose the best treatment for your patients. Care should always be made to take into account the desired effects of your patients and the areas to be treated. With this in mind, what sets Teosyal PureSense Deep Lines apart from other fillers is its longevity and the relative comfort of its injection procedure. In regard to the former, many dermal fillers contain hyaluronic acid that degrades when implanted, but the hyaluronic acid in Teosyal PureSense Deep Lines is monophasic and homogenous, which makes it extremely durable and less likely to degrade when implanted in the skin. In other words, Teosyal PureSense Deep Lines will deliver longer-lasting results than its competitors. 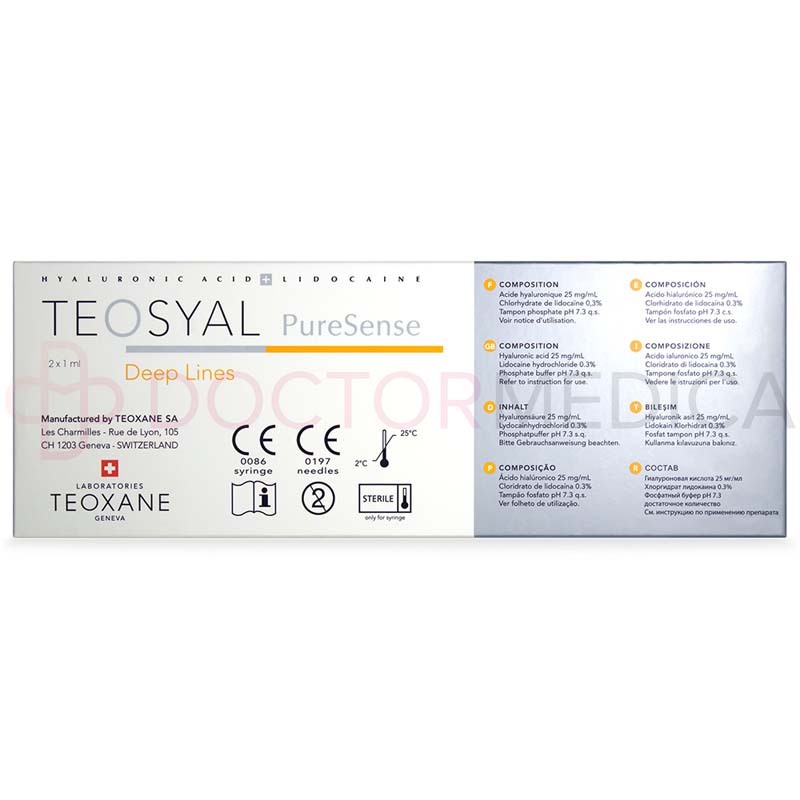 In regard to the latter point, the Lidocaine in Teosyal PureSense Deep Lines makes the injection procedure pain-free and more comfortable than its Lidocaine-less competitors. For these advantages, Teosyal PureSense Deep Lines is an ideal cosmetic filler for your practice. This injectable is indicated for patients who have severe wrinkles and lines. It is also indicated for patients want to enhance their lips or contour their cheeks and jawline. You must inform your patients about the potential side effects associated with this treatment. Such potential side effects include swelling, itching, pain, hematoma, and temporary loss of sensitivity in the treated area. However, these symptoms usually last somewhere between 2 days to a week: For the full list of side effects, precautions, and contraindications, refer to the product insert for more information. Through Doctormedica.co, cosmetic and orthopaedic medications are offered wholesale to licensed practitioners, clinics and hospitals. Go to Doctormedica.co, call 1-866-343-2413, or e-mail info@Doctormedica.co for more information. 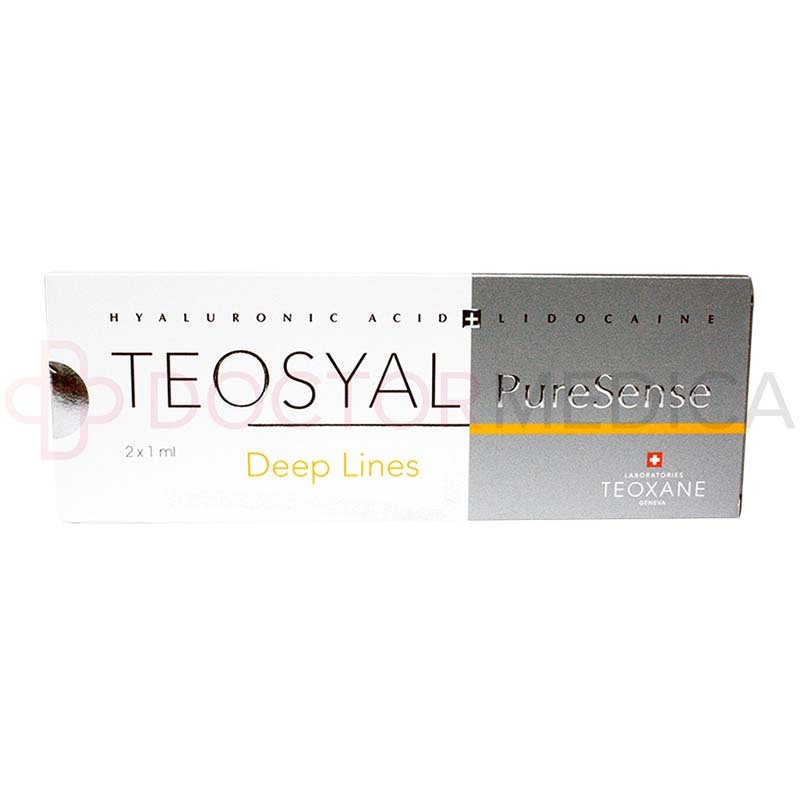 *Doctor Medica offers only genuine TEOSYAL® PURESENSE DEEP LINES manufactured by Teoxane Laboratories. All brands listed here including TEOSYAL® PURESENSE DEEP LINES are the trademarks of their respective owners and Doctor Medica is not affiliated with them in any way.